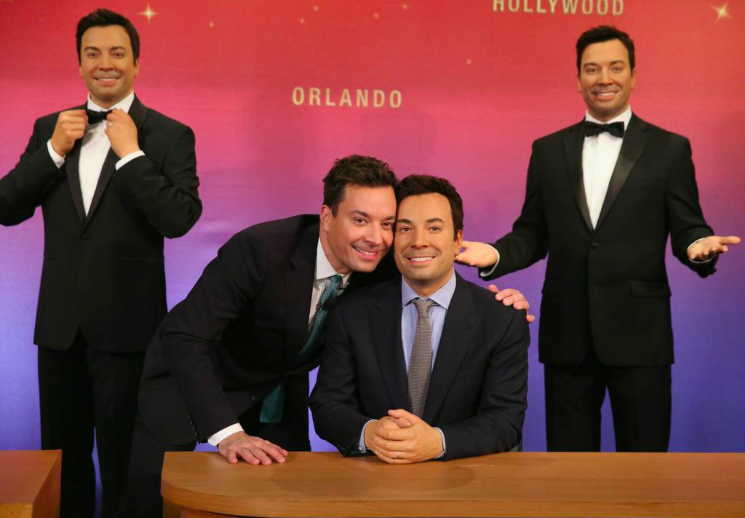 Jimmy Fallon recently helped Madame Tussauds Wax Museum unveil a first ever for the attraction when they unveiled five figures simultaneously. 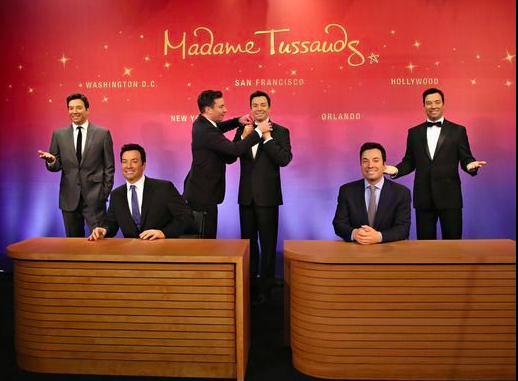 Fallon’s figures will be housed in Madame Tussauds locations spanning the country: New York City, Washington DC, Hollywood and San Francisco. 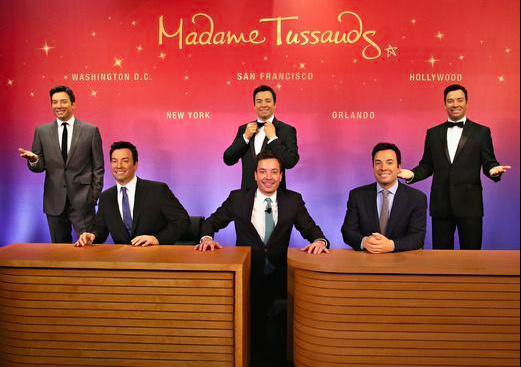 His fifth figure will be featured in the newest Madame Tussauds in Orlando when it opens May 4, 2015. Dressed in his signature suit, each figure was meticulously created by Madame Tussauds studio artists over the course of four months. 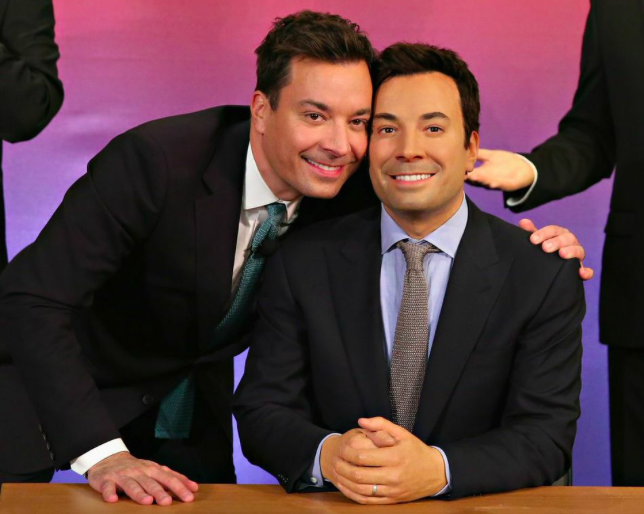 Fallon worked closely with the artists who spent hours sitting with the star taking over 250 measurements, no details were overlooked including identifying exact eye color, and detailing each strand of hair. This entry was posted in Attractions, Outside The Parks and tagged Barbara Ann, Jimmy Fallon, Tonight Show, Wax figures. Bookmark the permalink. Trackbacks are closed, but you can post a comment. I really hope Merlin build a Dungeon in Orlando. I really don’t the Sealife and Madame Tussauds will be a big enough draw. The eye looks fairly impressive, but I doubt it’ll be that big a draw. Merlin’s biggest problem is that there is too much similarity between attractions worldwide. I say this having been an annual pass holder in the UK and Australasia.